The exhibitions and events at GroundWork are wide-ranging and have both local and global relevance leading on beyond the time of their main display to become campaigns for a more environmentally engaged society. We partner with organisations ranging from Norfolk Wildlife Trust, the Woodland Trust, the Civic Trust, King's Lynn Klimate Concern, King's Lynn and West Norfolk Borough Council, and above all with concerned individuals. Contact us to find out how you can be involved in this work. Increasingly we live in a world which has to cope with changing weather patterns, environmental shocks and disasters. Whatever the causes, and wherever the effects are felt, our responses and solutions need to be practical ones if human society is to survive. But what are the roles, in any field involved, for the imagination, for creativity, ingenuity? You can join in with our campaign for more trees to be planted in the town. It began with the exhibition Out of the Wood at the end of 2016, involving some 10 artists and timed to coincide with the start of the Woodland Trust's Tree Charter campaign. Since then, we have run an annual Tea for Trees event collaborating with the King’s Lynn Civic Society and the Borough Council to raise money for more street trees, and have awarded 15 donor certificates so far. British Science Week in early March 2019 marked the beginning of us examining the properties of water and how we live with it. 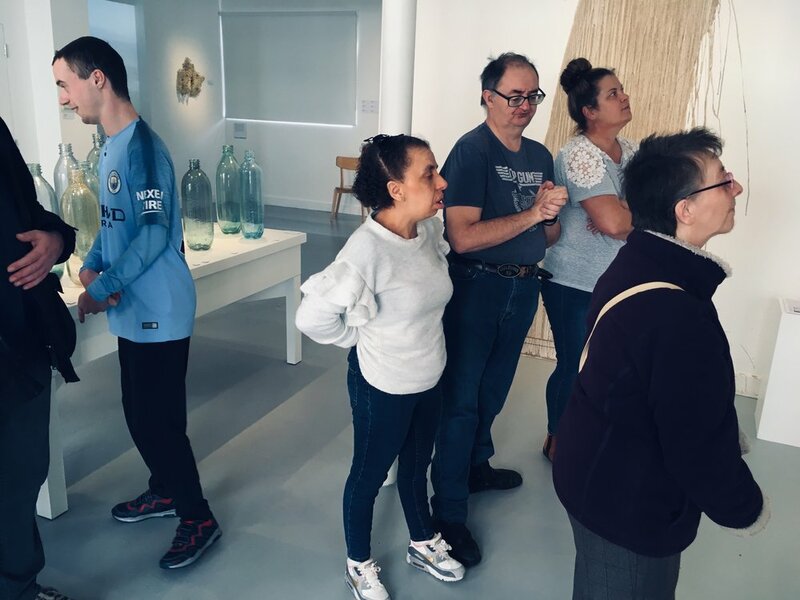 Using Water Rising as inspiration, we are working with the Forward Day Centre and Anglian Water’s Keep It Clear Campaign, experimenting with water, looking at our personal experience and how it flows through the town and in and out and around our buildings.